Simpsons Persian Jar 2 in super badger is a little gem for those who prefer the smaller brushes. 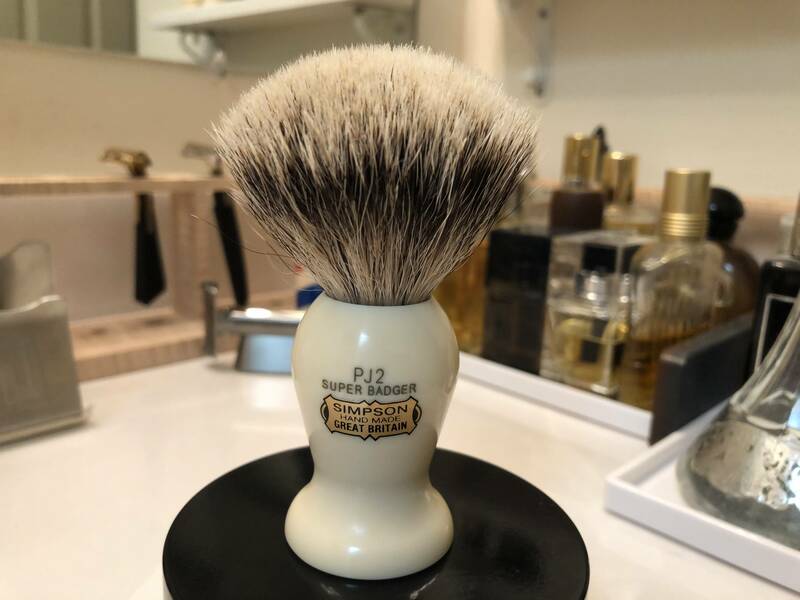 It's taken me years and a store of brushes to find my sweet spot: a 24mm bulb shaped silvertip, or super badger. Love that size. That's why the PJ2 super is a wee bit small for me with a 22mm knot set to a 50mm loft. The brush has modest density and backbone. The tips are soft, although the super badger tips on my Simpsons Tulip 3 are softer. I've used the brush about a half a dozen times. New, the price was $162. Your price, shipped U.S., is $85 $75 $65. Paypal is fine. No trades, please. Thank you.